All longarm quilting services will be completed on “Millie”, my APQS Millennium longarm machine with stitch regulator in a smoke- and pet-free environment. I will be happy to help you choose the design and quilting thread that will turn your quilt top into a treasured quilt. Quilt Top “Nostalgic Ninepatch” made by Doris F.
If you are not sure what the different quilting categories mean, click here for an explanation. This timeless all-over design is a quick and easy way to finish your quilt. It can be done in various sizes from very large to very small, depending on the look you want to achieve. Prices vary depending on size. 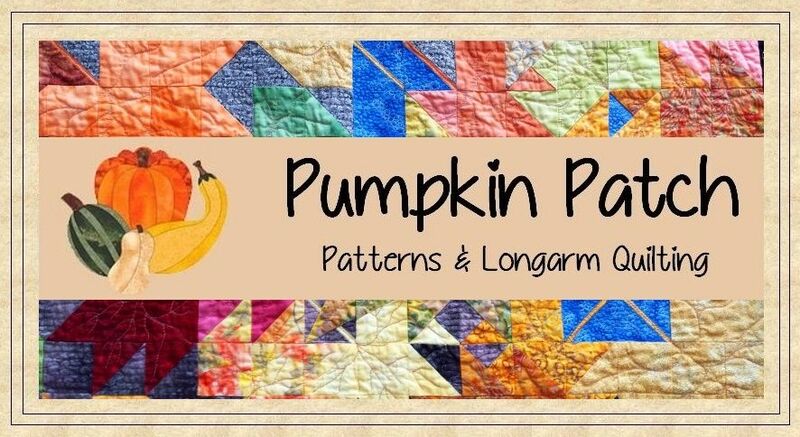 Pantographs are another quick way to finish your quilt. Many different patterns and designs will fit every taste, style and occasion and enhance the beauty of your quilt. Prices vary depending on size and density of the pattern. Custom Quilting can be very simple or very complex, and the prices vary accordingly. Adding a different border pattern to an otherwise all-over edge to edge design is less time consuming than quilting every block and border in a different pattern. If you are looking for custom quilting services, please contact me with your wishes, and I will be happy to give you a free quote. This is a service for hand quilters and home machine quilters who find the basting process tiresome. Basting is done in rows approx. 4″ apart with large stitches that are easy to remove. The minimum quilting fee is $50. This amount is required as a deposit. If you would like me to help you with other steps of the quiltmaking process like binding or ironing and joining the backing fabric, please contact me, and I will be happy to give you a free quote. There is a basic thread and needle charge in addition to the quilting services. I use a new needle for every quilt to ensure good stitch quality. Specialty threads like metallic or variegated threads are more expensive than solid cotton or polyester quilting threads. Prices vary depending on the size of your quilt. This is a flat rate, the density of the design will not influence the amount of the thread and needle charge. Quilts are quilted in the order that they are checked in, and I try to give a realistic timeline. Quilts that have a deadline and need to be finished before my current work load permits require that I work overtime. I will decide on a case per case basis if I can meet your time requirements and finish your quilt as desired. This service will be charged per hour on top of the regular fees. All prices are in CAD and do not include GST.